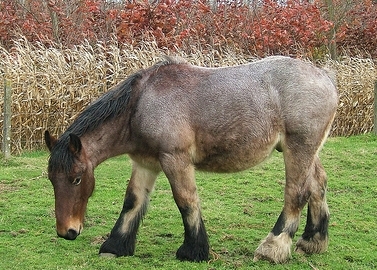 Wobbler’s Syndrome is a condition that affects dogs and horses. It scientific name is cervical stenotic myelopathy (CSM) and is a neurological disease. CSM occurs when neck vertebrae are malformed leading to narrowing of the cervical spine canal and then spinal cord compression. The hind legs are affected more often than forelimbs. Genetics is a factor in causing the disease, but other reasons include overfeeding, imbalance in mineral intake such as zinc and copper, growth rates. Breeds that appear to be affected most often are Thoroughbreds, American Saddlebreds, Warmbloods and Tennessee Walking Horses. Males are diagnosed with CSM more frequently than females. 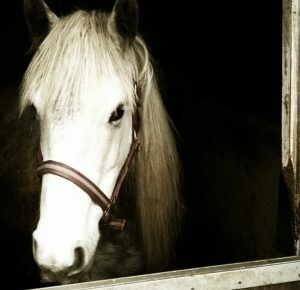 CSM is considered a developmental bone disease as it usually affects horses under 2 years old. A sign of Wobbler’s is an uncoordinated gait (ataxia). Your veterinarian will conduct a complete neurological examination including an x-ray or CT or MRI of the neck area. Sometimes a myelogram is recommended in which a dye is injected into the spinal canal allowing the vet to better determine where the spinal canal narrows. Treatment can be modifying the diet and prescribing anti-inflammatories to slow growth and reduce swelling. This approach may allow bone to reshape and lessen compressions. Research continues into the causes and treatment of Wobbler’s Syndrome which include necropsy examinations.